(CBS News) Two new studies suggest people who use a CPAP machine for sleep apnea might have an added benefit - a reduced risk for hypertension and heart disease. Sleep apnea is a common but serious disorder in which a person's breathing at night frequently stops or gets very shallow, with pauses that can last up to 20 seconds or more. The most common form of the condition is obstructive sleep apnea, when a person's relaxed throat muscles obstruct their airway. The condition affects an estimated 3 to 7 percent of the general population. People with obstructive sleep apnea often snore loudly, and the sudden drops in oxygen from breathing pauses increase a person's risk for high blood pressure (hypertension), stroke, a heart attack and other cardiovascular conditions. People with moderate to severe forms of sleep apnea are treated with a continuous positive airway pressure (CPAP) machine that pumps air through a mask placed over the nose, keeping the airways open and preventing the apnea and snoring. The first of the studies, both published online in the May 22 issue of the Journal of American Medical Association, looked at about 730 patients with obstructive sleep apnea at teaching hospitals around Spain who were randomized to receive either CPAP treatment or no intervention. After a 4-year follow-up period, the researchers found of the 357 patients who were given CPAP therapy, 68 developed hypertension and there were a total of 28 cardiovascular events. In the untreated control group of 366 patients, 79 developed hypertension and there were 31 cardiovascular events - slight increases, but not considered statistically significant. The authors said patients wearing the mask for 4 hours a night or longer were 28 percent less likely to develop hypertension, compared with the control group. The second study showed a statistically stronger effect on hypertension risk from CPAP therapy. Nearly 1,900 participants without hypertension were referred for sleep tests between 1994 and 2000, and were then followed up with annually through 2011. 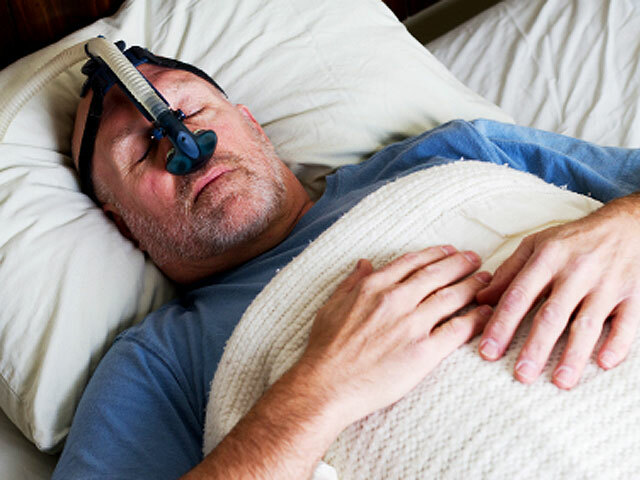 Patients diagnosed with obstructive sleep apnea were treated with CPAP if permitted by treatment guidelines, and patients without sleep apnea served as controls. The researchers found after an average follow-up of 11 years, 705 participants developed hypertension. Further analysis revealed participants with obstructive sleep apnea who were ineligible for CPAP therapy were 33 percent more likely to develop hypertension, and those with sleep apnea who declined CPAP were nearly two times more likely develop hypertension. Adherence to treatment also affected risk: Participants who didn't successfully stick to their CPAP regimen were 80 percent more likely to develop hypertension compared with controls without sleep apnea. Overall, patients with obstructive sleep apnea who were treated with CPAP therapy were 29 percent less likely to develop hypertension compared to controls. "We know that obstructive sleep apnea is a potential cause of high blood pressure, and we know that CPAP use is associated with reductions in blood pressure in people with hypertension," Dr. Vishesh K. Kapur, a sleep specialist at the University of Washington, Seattle, told WebMD. "And now there is reasonable evidence that this treatment can prevent high blood pressure in patients who don't already have it." The Mayo Clinic has more on sleep apnea.